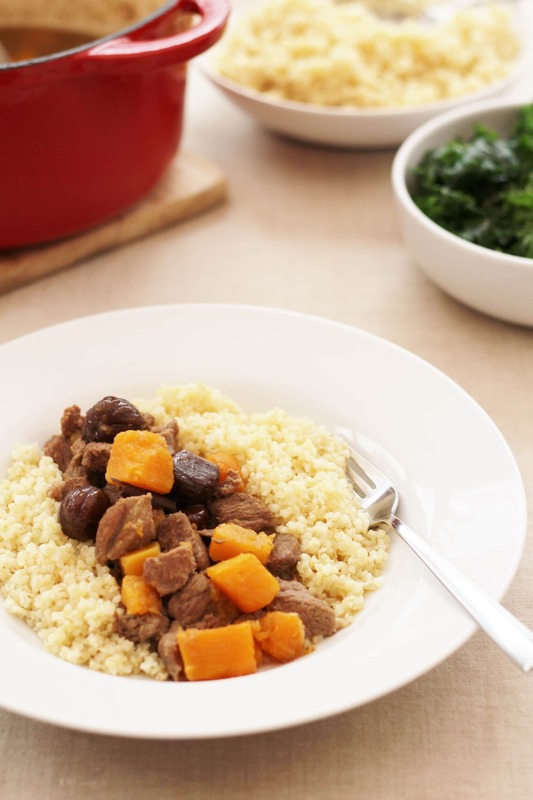 A delicious, easy and seasonal recipe from the ‘LAMB. 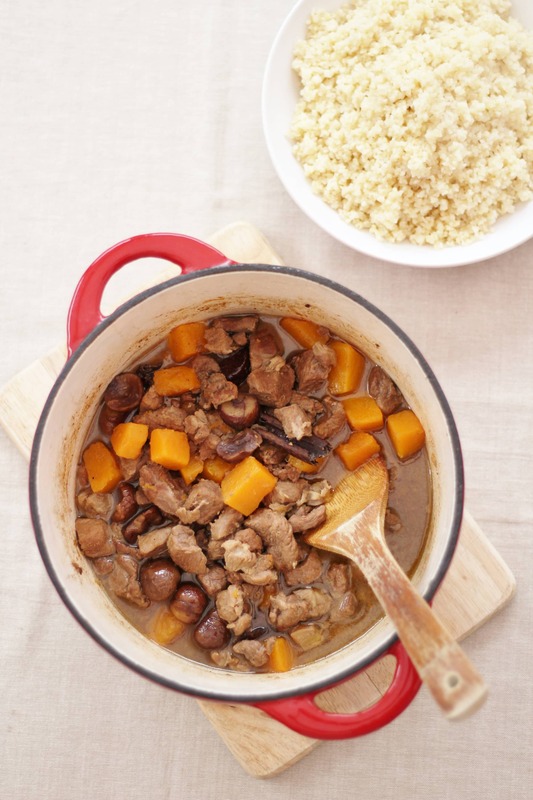 Tasty Easy Fun’ Campaign, this Lamb Stew with Spices, Butternut Squash and Chestnuts is perfect for a busy weeknight. As you probably know by now, my passion is for food that tastes delicious, but is also easy to make, stress-free and family friendly. I strongly believe that great tasting food does not have to be complicated, but nor does easy food have to be boring! I love experimenting and having fun with food. So when I was contacted recently by the people behind the ‘LAMB. Tasty Easy Fun’ campaign, who are trying to spread the word that lamb is delicious, easy to cook with and so much more than a Sunday roast, I knew it was a perfect fit for my blog. Not only am I hugely passionate about food being tasty, easy and fun, but I am also a massive fan of lamb and cook with it most weeks. In fact some of my favourite recipes include lamb. ‘LAMB. Tasty Easy Fun’, is an EU funded campaign which aims to increase the use of lamb in everyday cooking. Lamb is often considered difficult to cook, expensive, or something to be saved for Sunday roasts. The aim of the campaign is to demonstrate just how tasty, easy and fun lamb is to cook with every day of the week! They also have a wonderful website, full of tasty and easy lamb recipes that go way beyond the traditional roast lamb we all know and love. To help promote their campaign, the people at ‘LAMB. Tasty Easy Fun’ set me a challenge…to cook and review a recipe from their website and then create my own tasty, easy and fun lamb recipe. Well, you know me – I love a challenge, and with this one especially, I just couldn’t wait to get started! So for the first part of the challenge, I hopped over to their website to choose what I was going to make and I was totally stuck for choice – there are so many incredible lamb recipes on the site! 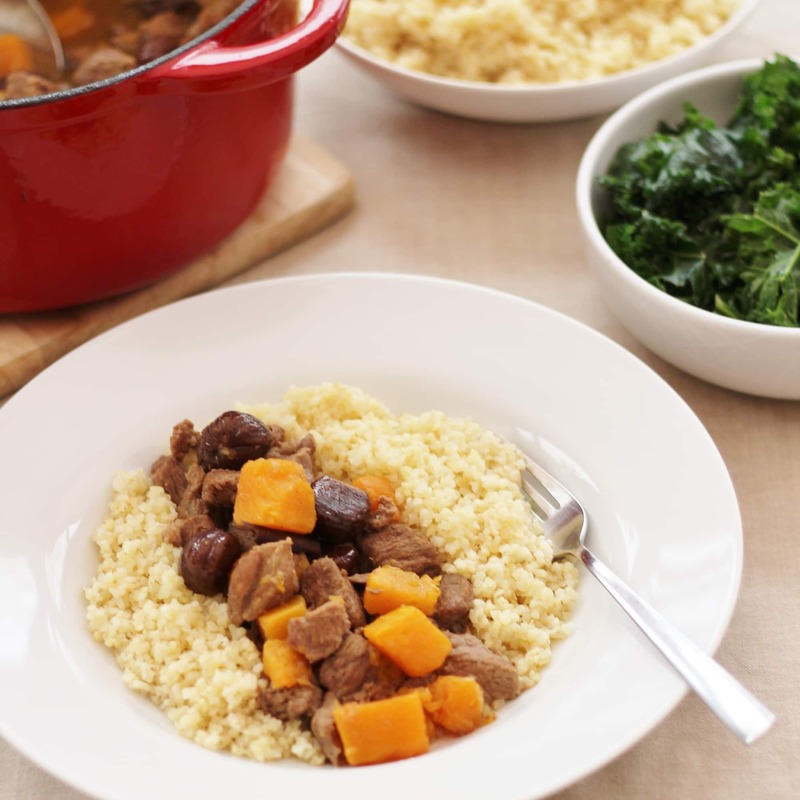 So, it took me quite a while to choose, but given we are in autumn and heading ever closer to Christmas, the one that caught my eye was this delicious Lamb Stew with Spices, Butternut Squash and Chestnuts. So, so perfect for this time of year. And so, what was it like? I can assure you it is even more delicious than it sounds! (And it sounds pretty good!!) The recipe was very easy to follow and prep time was accurate. Better still, most of the time the stew needed little or no attention. And, seriously, the result was incredible! Plus my kitchen was filled with the most delicious smells. As an added bonus, because my children and don’t eat a full portion, there was easily enough for an additional meal for both me and my husband. Perfect for reheating the next day for lunch! 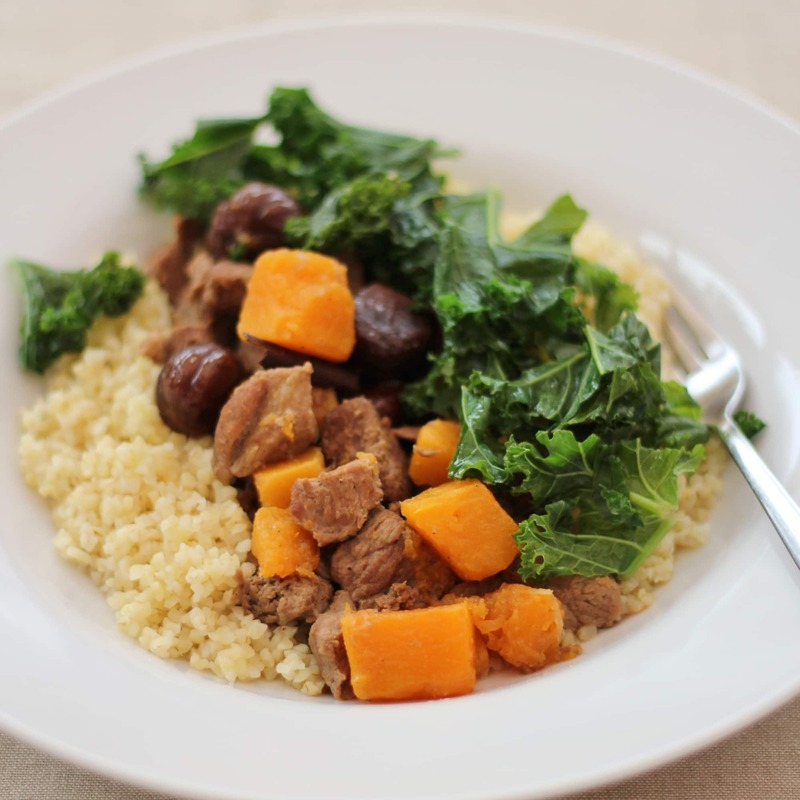 I chose to serve this with lovely seasonal kale and some bulgur wheat, but it would go brilliantly with couscous, pearl barley, quinoa or even good old mashed potato! Alternatively, for an even simpler recipe, serve this stew with a good chunk of crusty bread and then there is the added bonus of only one pan to wash up. 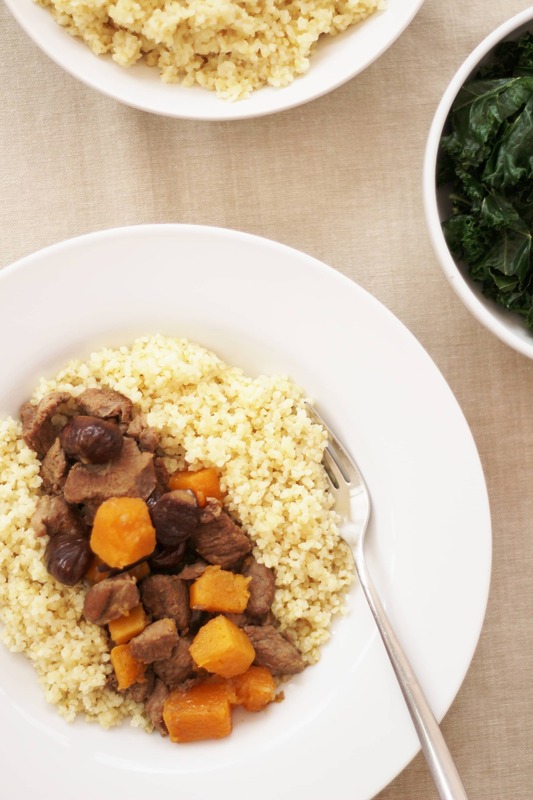 A delicious, easy and seasonal recipe from the 'LAMB. 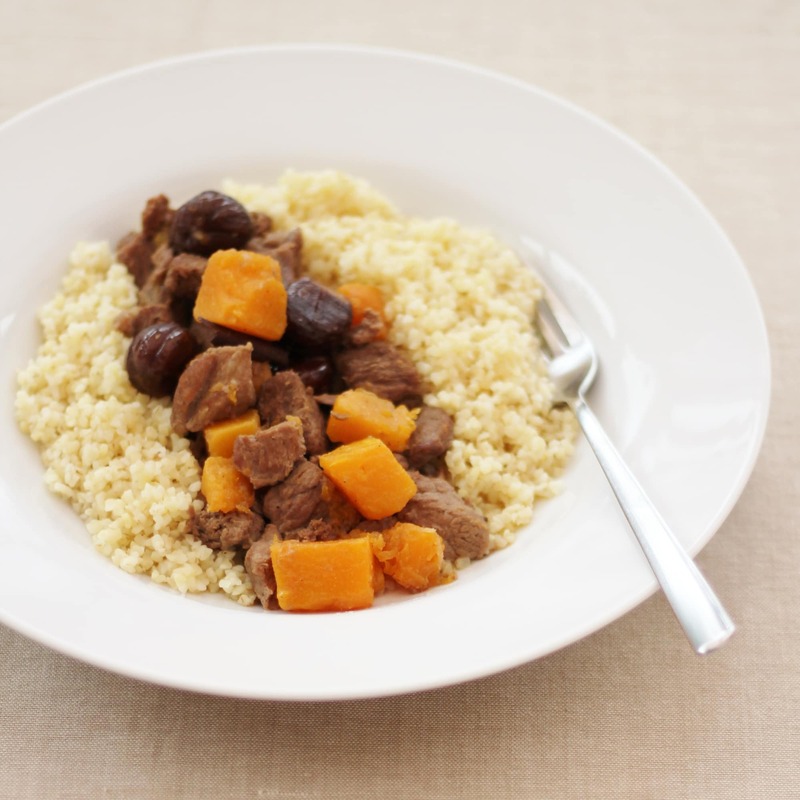 Tasty Easy Fun' Campaign, this Lamb Stew with Spices, Butternut Squash and Chestnuts is perfect for a busy weeknight. Heat the oil in a large saucepan, season the lamb and add it to the pan. Cook for 3-4 mins until brown all over. Remove from the pan and set aside. In the same pan reduce the heat and soften the shallot or onion and ginger for 2-3 mins over a low heat. Add the spices and stir for 1 min, sprinkle over the flour and stir for another minute. Pour in ¾ of the stock, stirring continuously, then add the meat. Add the remaining stock and honey. Reduce the heat and simmer for 1 hour. Add the butternut squash to the pan and cook for 20 mins. Finally add the chestnuts, if using, and cook for a further 10 mins. 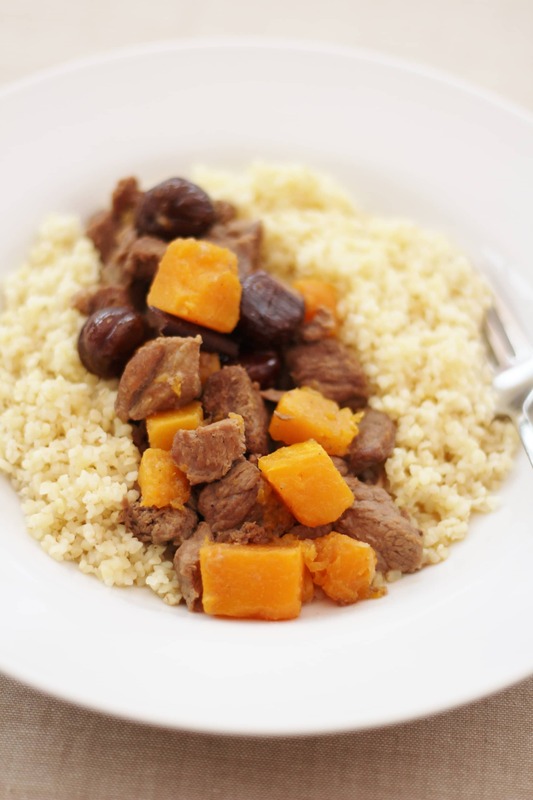 Adjust the seasoning and serve with couscous, bulgur wheat or mashed potatoes. Tip: Cooked chestnuts are readily available in supermarkets either canned or vacuum packed. This is a collaborative post with the ‘LAMB. Tasty Easy Fun’ campaign. You can find out more about the ‘LAMB. Tasty Easy Fun’ campaign, as well as lots of easy and delicious lamb recipes at www.tastyeasylamb.co.uk. 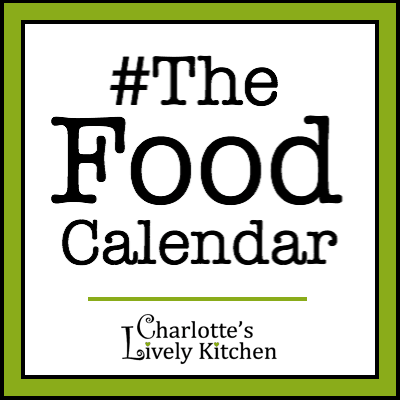 I am linking this recipe up to Brilliant Blog Posts, Cook Once Eat Twice, Recipe of the Week, The Food Calendar and Cook Blog Share. You are indeed a domestic goddess Eb. I still want to come and live with you! !